« UKIP, party of the people? A Victor Kiam moment here at AM Towers. This blog post over at EU Referendum hit the nail on the head so accurately and articulated my own thoughts so precisely, I have ripped it off almost entirely, with only a few minor personalisations. Normally, I ignore Conservative Home. That part of the blogosphere remains the hunting ground for tribal warriors, and I have neither time nor patience for its party-before-principle guest and the attendant petty-mindedness. 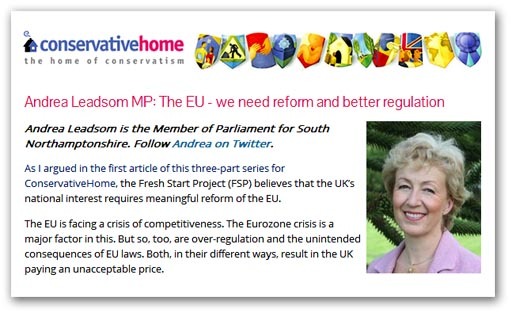 Others, with tougher constitutions, still frequent the site, and I have thus had my attention drawn to this from Andrea Leadsom (above), who is still pushing her mantra of “meaningful reform” of the EU. And there is also this from George Freeman, also of the Fresh Start Group. Actually, having read the pieces, I wonder why I bother – why anyone bothers. Neither are saying anything new, nor anything interesting – there is nothing at all that informs or inspires. We are not getting argument – simply leaden propaganda, repeated again and again, presumably to reinforce the belief systems of the faithful – for no one else will believe it. Richard North’s answer to this was given in June 2004, repeated many times, but particularly in January of this year. These are Richard’s “barking cats” pieces, to which – in conceptual terms – neither he nor I can add very little. Leadsom and her ilk – including her Open Europe minders, say we must “reform”. I, and many others, say that “meaningful” reform is not possible and will never happen. And those are the positions – fixed, unchanging. There is no debate, nor any possibility of debate. Disagree, and make the mistake of disagreeing too forcefully or too often, as you get “disappeared”. The other side do not want to know, any more than we want to hear the repetitions of their flawed, evidence-free and indeed ridiculous arguments. From that, though, does not emerge a counsel of despair – simply a recognition that head-butting gets you nowhere. It seems to Richard – and I wholly agree – that a better strategy is to introduce new facts and ideas, which by-pass the blockage. Leadsom might want to bleat about “over-regulation” and “negotiating over tedious directives”, at EU level. We simply point out that the regulation is at dealt with at a global level and that is where the UK needs to be engaging. On wind turbines, we can rehearse the arguments for and against until the cows come home and the macerated birds fall from the sky. 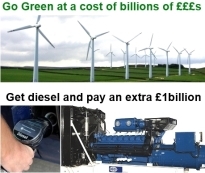 But sell the idea that, if you buy wind, you get diesel, and pay an additional £1 billion extra for the privilege, and the argument looks very different. Similarly, take the claims of our influence inside the EU, and tell people we can’t even argue for our mackerel quotas and again the terrain looks very different. But talking about the reality and sharing it with others who are not as well informed is why the opposition wants to control the flow of information. It does so mainly by ignoring new facts – by not discussing them, not debating them, not even recognising them. 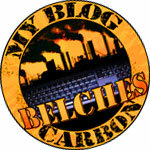 When, for instance, have you ever heard about Codex on Conservative Home? Where have they added value or anything worthwhile to the sum of their readers’ knowledge? Thus, we do not speak to the close-minded. It is a waste of time. The likes of Leadsom will go to her grave still arguing for “meaningful reform” of the EU, long after we have left the EU and it has crashed and burned. We can’t deal with that. This is the dialogue of the living dead. The stake through their heart or axe through their head will be when reality – that thing they desperately ignore as they play party political games for a party political audience – bites hard. Where the EU is concerned a statement like that is akin to the W.H.O announcing a ‘partial cure for gonorrhea’. No amount of tinkering will tame this particular monster. AM, like yourself I have been getting more & more bored with all the time-wasting deception from MPs about plans for a UK EU Referendum. Despite James Wharton’s bill currently before Parliament, I view waiting until 2017 as an absurdity, & a probable device by the PM to find any old excuse to avoid actually holding such a referendum. So I wrote this email to my MP who happens to be Labour. Anyone who reads this is free to write something similar to their own MP, suitably modified where appropriate, if they think it might get some sort of worthwhile result. ….I trust that you are pleased that the Private Member’s Bill for an EU Referendum that was presented in the House of Commons by James Wharton MP last Friday 5th July 2013 had a very successful 2nd reading there – 304 votes to zero! What a spectacular result. However, I notice that your Labour Party colleague, Mr Mike Gapes has since then proposed several excellent amendments to Mr Wharton’s EU Referendum Bill about continued British EU membership. – A referendum on the terms of Britain’s membership of the EU rather than just on whether Britain should be a member. – A referendum on a date to be determined. – A referendum on a date to be decided by a Royal Commission on the future of the UK in Europe. – A referendum on 22 May 2014. – A referendum on 6 May 2015. – A referendum before 31 December 2014. – A referendum before 31 December 2015. – A referendum before 31 December 2016. – A referendum before 1 July 2017. – A referendum before 31 December 2018. – A referendum before 31 December 2019. – A referendum on the date of the 2020 general election. “I consider Mr Gapes’ approach as very positive indeed, & helpful to Members of Parliament working out which EU Referendum proposal is the best one for Britain. My favourite is his 4th proposal – a referendum on 22 May 2014, along side the MEPs’ elections to be held on the same day. I do hope you agree, & can join your very persuasive voice to Mr Gapes’ to help Parliament to hold this proposed EU Referendum at this earliest possible date, rather than delaying it until 2017. “I hope you agree with me. However, should you prefer one of his 5th, 6th, or 7th alternatives, I am sure that any one of these three choices could also be more beneficial to Britain than waiting until 2017 – as currently favoured by the Prime Minister, Mr Cameron. Almost certainly, the Labour Party will gain great UK public approval by supporting moves for an early EU Referendum in Britain – and of course, any Labour MPs as individuals, such as yourself, who have helped make it possible. Anyone want to write something similar to your MP? Go ahead then! If the Tories admitted what their policy on the EU was – full commitment – hardly anyone would vote for them. Therefore they have no option but to plug away with their dishonest sham about a half-way position and talk airily about renegotiation and repatriation of powers.